The world’s financial markets are more connected than ever. Information concerning market and economic conditions is readily available thanks to improvements in communications technology, while modern computer systems have made it possible for financial institutions to process an incredibly large number of transactions. This has accelerated the pace of business both in the Philippines and around the globe. Over the past 10 years, the trust industry in the Philippines has undergone a similar transformation. Having previously offered traditional products to customers via branches, trust entities are now able to supply a more diverse suite of products and services across a number of channels. These products are designed to provide investment solutions to the varied needs of clients, and are all delivered via the internet and smartphones. These developments have made financial literacy more vital than ever. As well as developing new products and finding ways for technology to assist customers, BDO Unibank is playing a role in advancing the entire Philippine financial industry. Our strong support of key initiatives from the Philippine central bank, Bangko Sentral ng Pilipinas (BSP), is making a real difference in the lives of many people. From its prominent position, BDO is introducing products that encourage financial inclusion, support investor education and address all the challenges the industry is currently facing. Amid this changing landscape, BDO intends to remain at the forefront of the Philippine trust industry. This means not only maintaining the high standards our clients have come to expect from us, but also fostering systematic change. We are in a prime position to do so: as of December 31, 2017, BDO’s consolidated trust assets under management stood at PHP 1.05trn ($19.7bn), representing a 33 percent market share of the local trust industry. Out of this amount, PHP 752bn ($14.1bn) is managed by the Trust and Investments Group of BDO Unibank, while the remaining PHP 294bn ($5.5bn) is managed by the Wealth Advisory and Trust Group of BDO Private Bank, a subsidiary of BDO Unibank. This is testament to the trust our clients have in us. Nonetheless, BDO will not become complacent and wait for others to engender change. As the largest trust entity in the Philippines, BDO remains a stalwart supporter of the BSP and is committed to meeting its stringent standards. We were the first financial institution in the country to be accredited as a personal equity and retirement account (PERA) administrator – a BSP initiative designed to encourage saving for retirement, while also promoting the development of capital markets. Our focus on financial inclusion was our main motivation for becoming a PERA administrator. We believe that being a leader in the implementation and promotion of the initiative will ensure BDO becomes a driver for the nation, helping the Filipino people achieve their financial goals, both now and after retirement. For our PERA clients, we have launched several different funds, which all enjoy tax benefits that are unique to the scheme. Another financial inclusion initiative we have launched is the Easy Investment Plan (EIP). The EIP is an investment build-up plan that enables investors to attain their financial goals and wellness by regularly saving and investing, even for amounts as low as PHP 1,000 ($18) per contribution. This has provided our clients with a wider range of investment funds to choose from, both in pisos and dollars. This programme also takes advantage of a cost averaging strategy, keeping fees low. We believe the EIP will help Filipinos shift from being savers to becoming proactive investors. The EIP helps us debunk investing myths, such as the misconception that investing is difficult and only for the rich. With EIP, investing is made simple, easy and, best of all, affordable. BDO is also an ardent supporter of investor education. We believe that educating our clients about the benefits of investing will improve the average Filipino’s financial wellness. Our investment officers, fund managers and marketing officers provide briefings and investment updates to our clients across all provinces in the Philippines. These ‘coffee talks’ allow our clients to keep up to date with developments in both the local and global economy, providing them with material information for their investment decisions. BDO also conducts financial wellness seminars, presenting Filipinos with the basics of investing, such as how to start investing, how to manage investments and how to plan for retirement. In 2017, BDO conducted seven public seminars, which were attended by more than 500 prospective investors. BDO also ran 65 private financial wellness seminars in the same time frame, attracting almost 2,000 participants. To support our advocacy of investor education, BDO provides thorough product training to all personnel across our 1,000-plus network of branches. This ensures staff are able to communicate the benefits of investing and accurately describe the features of our investment products to both prospective and existing clients. We believe that financial education should start at home and, in this case, at our branches. One of the problems we have encountered is the heightened risk and compliance processes brought about by the 2008 financial crisis. The crisis was an eye-opener for financial institutions around the world. Though the Philippines was relatively spared from the more serious effects, it did expose vulnerabilities in the financial system. Since then, the BSP has been advocating risk mitigation and consumer protection, both of which BDO fully supports. We have been enhancing our risk controls so that we are prepared to weather the next financial crisis, whenever it may come. Another challenge that the industry is facing is the rise of financial technology; having an expansive branch network may not be enough to survive in the coming years. Though the BDO Unit Investment Trust Funds (UITF) are currently available through the BDO website, we do recognise the need to improve our electronic communication channels. With the rise of the Millennial customer segment, this is becoming even more important, as obsolescence and irrelevance are becoming a real threat. As such, this particular group has forced us to rethink our existing business model. By gathering insights from the younger generation, we found there is a need to adapt our electronic strategy and make trust products more accessible through digital channels. Through this initiative, we are making our products readily and easily available nationwide. This may involve partnering with other financial product distributors in the future. Cognisant of the ever-evolving needs of our clients, BDO’s unrelenting focus on innovative products and services is what makes us stand out from the competition. We pride ourselves on being adaptable in an ever-changing capital market sector, as well as being able to survive intense market competition. We ensure that our products and services are up to date and provide relevant solutions to clients’ needs. BDO also takes pride in having launched the first socially responsible investment fund in the local market. As such, BDO incorporates environmental, social and governance (ESG) factors into a selection of equity investments offered by its ESG Equity Fund. This fund primarily addresses the needs of institutional clients, such as schools, non-profit organisations and religious entities looking for a socially responsible fund. The real estate investment trust (REIT) and unit investment trust funds represent more firsts for us. The BDO-developed Markets Property Index Feeder Fund exposes participants to the REIT – as well as to real estate companies listed in 23 developed markets – enabling them to take advantage of the regular dividend income from these securities. We have also launched the first local China fund, providing participants with the opportunity to take advantage of the remarkable growth seen in large Chinese companies. 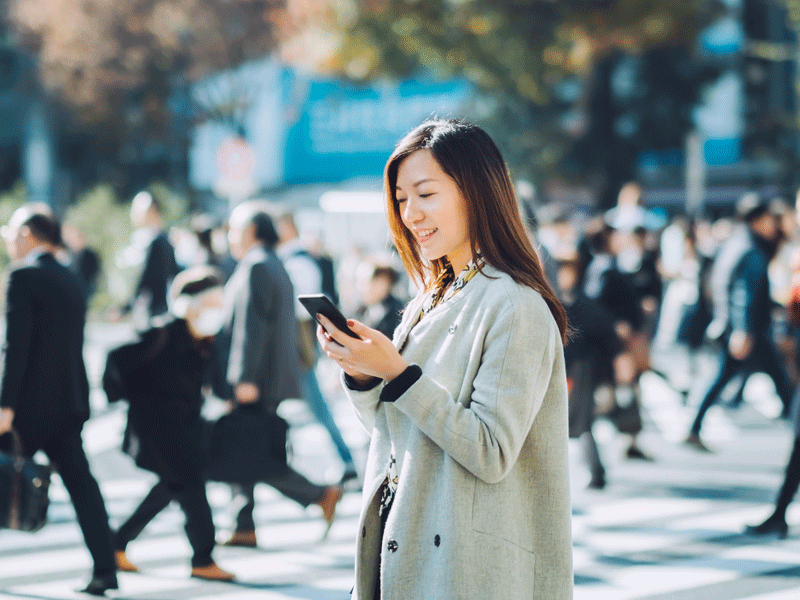 In 2017, we expanded our existing array of global funds with the launch of the BDO Europe Equity Feeder Fund and the BDO Japan Equity Index Feeder Fund. Our clients can now access the US, Europe, China, Japan and other global equity markets through BDO branches and BDO Invest Online. Though the Philippine equity market has been providing relatively good returns over the past five years, it has still lagged behind major markets in dollar terms. Investing in the BDO Global Feeder Fund allows our clients to diversify their portfolio and take advantage of investment opportunities from the convenience of their own home. BDO also continues to work with the BSP, as well as our fellow trust practitioners, in developing new products and services. We look at global practices to see if new types of investment products or services will be beneficial to the local market. We continue to lead the development of these new initiatives, while moulding new regulations to support these products. In the coming years, we hope to see new UITF classifications, such as target-date funds, dynamic-allocation funds and multi-currency classes. Given the opportunities and risks that are ever present in a highly connected global economy, BDO remains committed to delivering trusted products and services that surpass client expectations in terms of both value and customer service, while also remaining prudent and trustworthy stewards of their wealth.